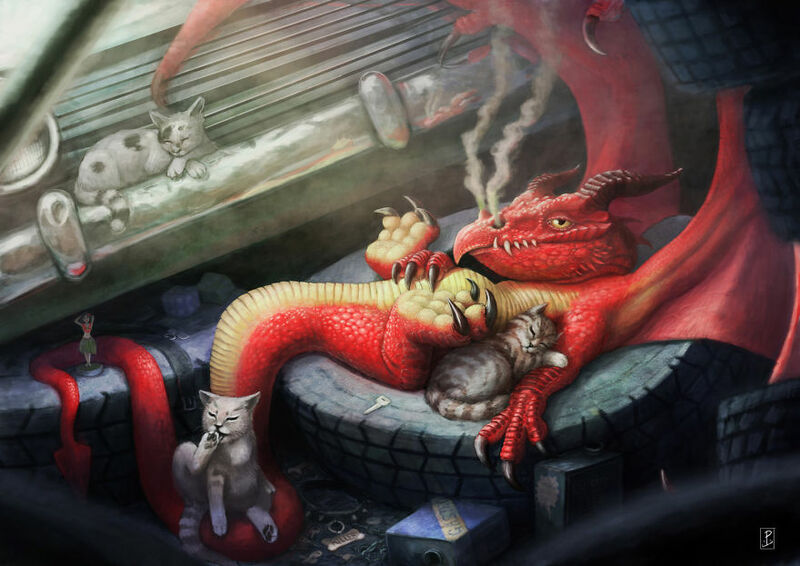 “This images is for those who share a love of dragons, those fire breathing creatures of yore. Their legends have filled countless tales. they have been deadly villains, powerful allies, agents of calamity and even the odd blessing. We know much of their dealings with the past… But what of the present? Here I present to you the modern dragon”. Your junk yard dogs going missing? You may have a dragon on the premises. Modern dragons have authority issues. Modern dragons are masters of disguise! Dragons hate butterflies because they are treasure that is impossible to hoard. The only thing more dangerous than a wolf in sheep’s clothing is a dragon in wolfs clothing. Dragons may have had something to do with the disappearance of Gnomes.